WRUW April 2019 / ЧВСН Апрель 2019 г.
Thread: WRUW April 2019 / ЧВСН Апрель 2019 г. Re: WRUW April 2019 / ЧВСН Апрель 2019 г.
where did you find that bezel or insert? Avidfan, willjackson, Geoff Adams and 12 others like this. When I look at this watch, and it's movement, I believe in future of Vostok. 2441 voowwwtomatic movement. Geoff Adams, max888, Mr.Ludwig and 13 others like this. stevarad, Mr.Ludwig, RedFroggy and 11 others like this. zagato1750, stevarad, Vost and 11 others like this. 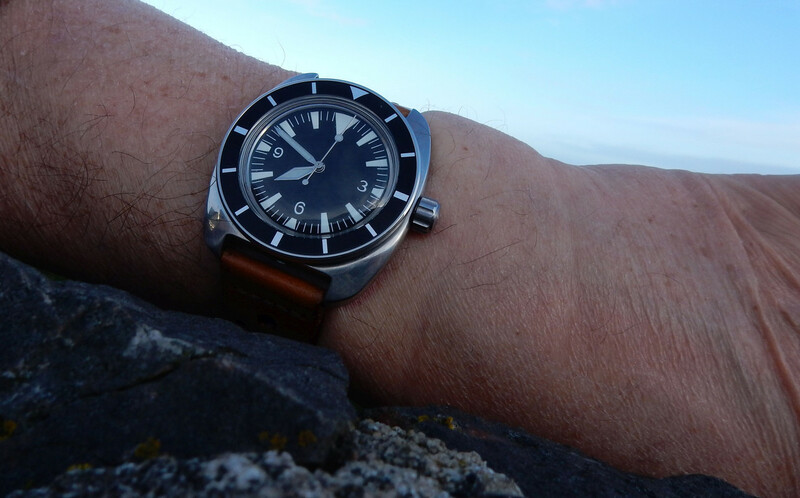 Raketa 2609 on a hexad bracelet. Last edited by audiomagnate; 1 Weeks Ago at 18:13.
arktika1148, Geoff Adams, haha and 10 others like this. Geoff Adams, stevarad, elsoldemayo and 9 others like this. zagato1750, 24h, haha and 11 others like this. Watchuseek recommends RGM Watch Repair & Restoration, experienced in New and Vintage Mechanical Watches. Watchuseek recommends Chrono24, the largest watch marketplace on the Internet. All times are GMT +2. The time now is 18:14.